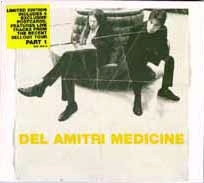 The anxiously awaited new single from Del Amitri arrived the third week of June, 1997. "Not Where It's At" lived up to all the fans expectations, but seemingly, not the record companys. As, there was no US release of the single. In fact it was released almost everywhere except the US. 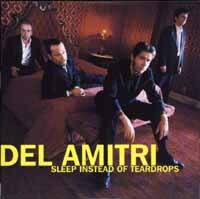 The first single included two uptempo songs, with "Low Friends In High Places" prove that Del Amitri can do Alternative "out of their heads" rock with the best of 'em. "Sleep Instead Of Teardrops" shows the tender side of the songwriting Justin Currie, without losing the cynical edge that has earned him such accolades. "Before The Evening Steals The Afternoon" is an atmospheric piece of music with emphasis on the keyboards as played by Andy Alston. Recorded and released over two years prior on a European various artists album "...there's more, Beyond Words". Thought to be unattainable for most fans, the release of the song here brought a huge sigh of relief. "Some Other Sucker's Parade" was released as the long awaited follow-up to "Not Where It's At" in November. The three different singles offer up 9 live tracks as B-sides, and an alternate mix of "Some Other Sucker's Parade". Five of the B-sides have already appeared in "live" form, but four have not. All the live tracks were recorded at Leeds Town and Country Club in July of 1997. "Sleep Instead Of Teardrops" was included in the Australian version of "Some Other Sucker's Parade". It was released there as a single at the same time "Some Other Sucker's Parade" was released elsewhere. Once again, utilizing the live tracks recorded live at Leed's Town & Country Club in July of 1997. The single was released in only one version, and in a card sleeve as opposed to a jewel case. However, there are two different colored discs available; a yellow one and a white one. 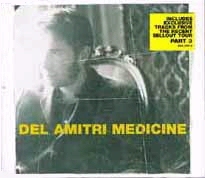 Medicine was scheduled for release on Sept. 8, 1997 as the follow-up single to Not Where It's At. All three singles for Medicine were scrapped following the death of Lady Diana one week before the scheduled release. The lyrics were deemed "inappropriate" in light of her untimely death. 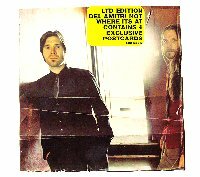 Press releases have stated that not releasing the singles was at the request of Del Amitri. The status of the actual singles left unreleased are unknown. Some copies have found their way onto the collector's market. "Don't Come Home Too Soon" was chosen by the Scotland soccer (football) team to be the Official Team Scotland rally song. The song was not written specifically for that purpose, but was put forth as a possible contender, and received the honor! While, "Three Little Words" dates back to the Twisted album with producer Al Clay and mixing by Bob Clearmountain. "Paper Thin" finally gets an official UK release just prior to being released on the upcoming B-sides limited edition cd. The instrumental version of "Don't Come Home Too Soon" is so you can sing your own version. Another note: The version of "Always The Last To Know" on the second single, is the alternate mix available on the promo, and the "Driving With the Brakes On" single from 1995.